Several ATM thefts/attempted thefts have occurred at 7 Eleven stores across Prince George's County. Police say all the incidents are connected. MT RAINIER, Md. — Police are investigating another attempted ATM robbery in Prince George's County. Around 3:30 a.m. Wednesday morning officers responded to the 7 Eleven in the 2300 block of Varnum Street in Mt. Rainier for the report of a robbery. Officials say the suspects rammed their car into the storefront and tried to steal an ATM, but were unsuccessful. Officials released surveillance photos of the two suspects asking the public's help to identify them. Several other attempted ATM robberies have been occurring across the county, according to police. 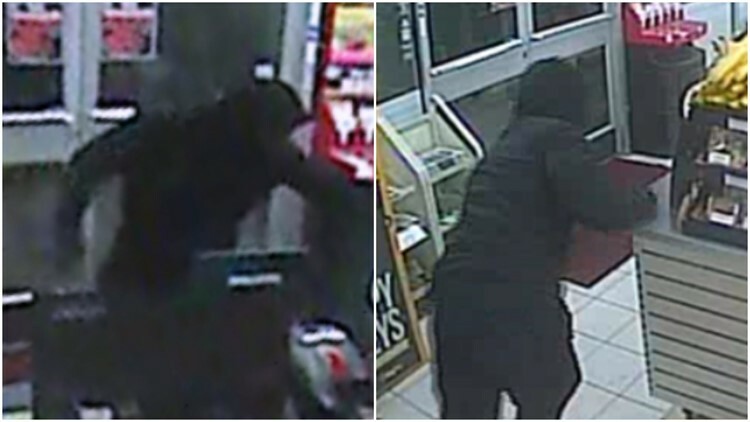 Just before 3 a.m. on April 10, suspects rammed the storefront of a 7 Eleven in Upper Marlboro with a car and tried to steal an ATM, police said. A few weeks before that, Prince George's County police responded to another store in West Lanham for the report of a robbery. In this incident, the suspects also rammed the storefront and stole an ATM. Hours later, police said they found three stolen ATMS on fire in an empty lot. One of the machines was stolen from the West Lanham location. Police announced Wednesday, that all these incidents are connected and are asking anyone with information to contact them at 866-411-TIPS.